Sited on historic Castle Road, Delaney’s Sandwich Bar is an ideal one-stop lunchtime delicatessen, and is just minutes away from Southsea Common and the beach. Picnic prep perfection! This British Sandwich Association Awards winner is renowned for their hand-cut New Yorker and Mediterranean sandwiches, filled with frankfurter/mozzarella/pastrami and feta/peppers/hummus respectively. Every item on the Brewhouse menu comes with a beer pairing recommendation. If you go for the bacon/egg/lettuce/tomato sandwich, match it with a wood-aged brew. Mature cheddar ploughman’s? IPA. Falafel, sweet pepper, black-eyed bean fritter, and dill pickle sandwich? Down a wheat beer. You can also choose between white or multi-seed bloomer for your bread. Sandwiches by the sea — always a good idea for breakfast. Hit up Southsea Beach Café’s menu for favourites such as the smoked salmon horseradish cream cheese, lemon shallot, and capers sandwich on sourdough or the chicken, pesto, sun-dried tomatoes, and crispy bacon sandwich on farmhouse bread. Sorted. Of Portsmouth’s chain eateries, Pret A Manger — located just inside Gunwharf Quays’ main entrance — is our pick. 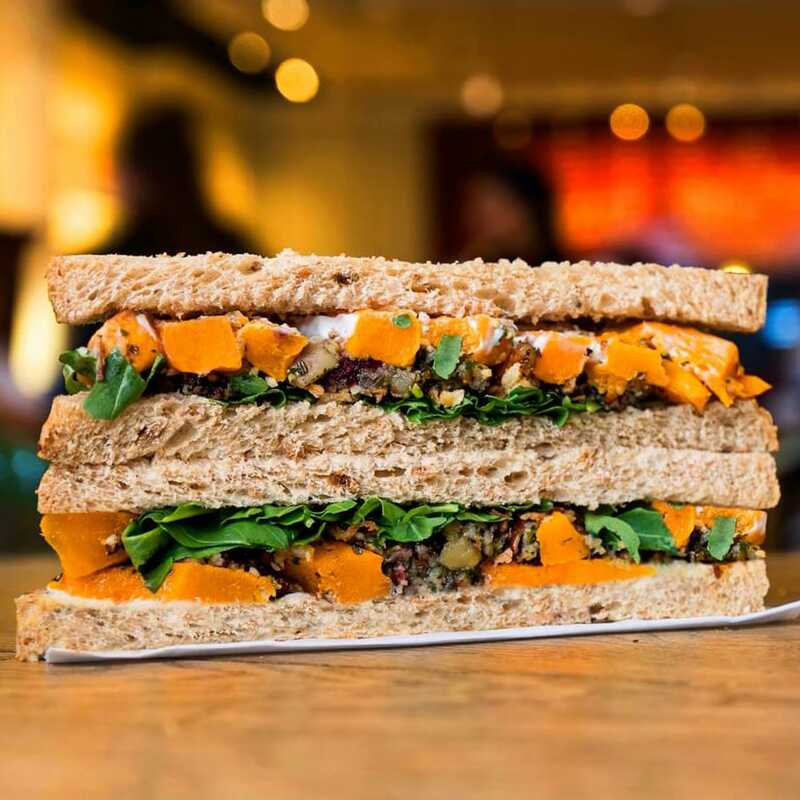 Whether you’re in the mood for chicken and cucumber, classic club, or crayfish and avocado, or veggie options like free-range egg mayo, curried chickpeas and mango chutney, or Italian summer flatbread, Pret’s sandwiches are always a tasty healthy choice. Starting out as a humble artisan coffeeshop, Southsea Coffee has evolved into so much more, and the good-vibes-only Osborne Road business now has a full-blown food menu — sandwiches included. Headliners include the pastrami deli sandwich, the Dijon-adorned free-range egg mayo sandwich, and the pesto-stuffed hummus and avocado sandwich. Mainly known for their hot dogs, fries, and burgers, Need Street Food — the resident kitchen at The Merchant House in Highland Road — also dish up delicious rolls, including their luscious brisket rolls: oak-smoked pulled brisket, bourbon BBQ sauce, house slaw, and garlic truffle mayo. Impeccable. Plus, 10% of all the street food restaurant’s profits fund shipments of life-saving food to children in need overseas. The absolute crowning champions of all things baking in Southsea, BREAD Addiction freshly prep killer sourdough, baguettes, and croissants. This local independent bakery is on Deliveroo, but you should definitely make an in-person visit to their main space on Elm Grove. They also head the resident café at Aspex Gallery in Gunwharf Quays — sandwiches and art make a good combo! 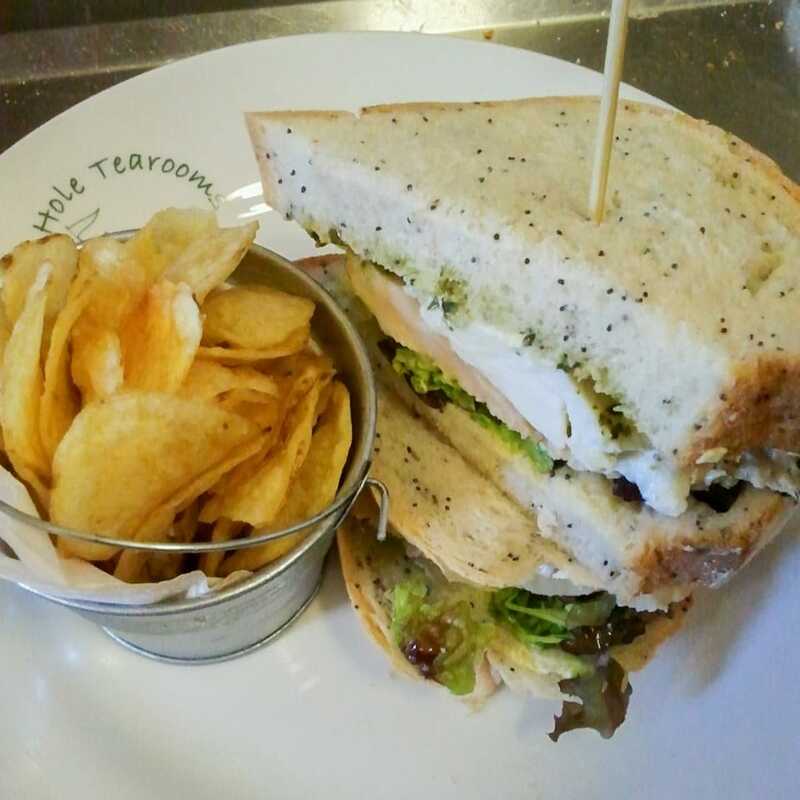 Often praised for their cakes, teas, and of course, the on-site golf course, Tenth Hole have also come into their own as an oasis for wholesomely thick doorstop sandwiches, including the ‘Feel Good’ (hummus, pesto, sweet potato, roasted peppers, spinach) and their fish finger and tartare sauce sandwich. Keep a keen eye on the specials boards at Spinnaker Café on Spice Island in Old Portsmouth. 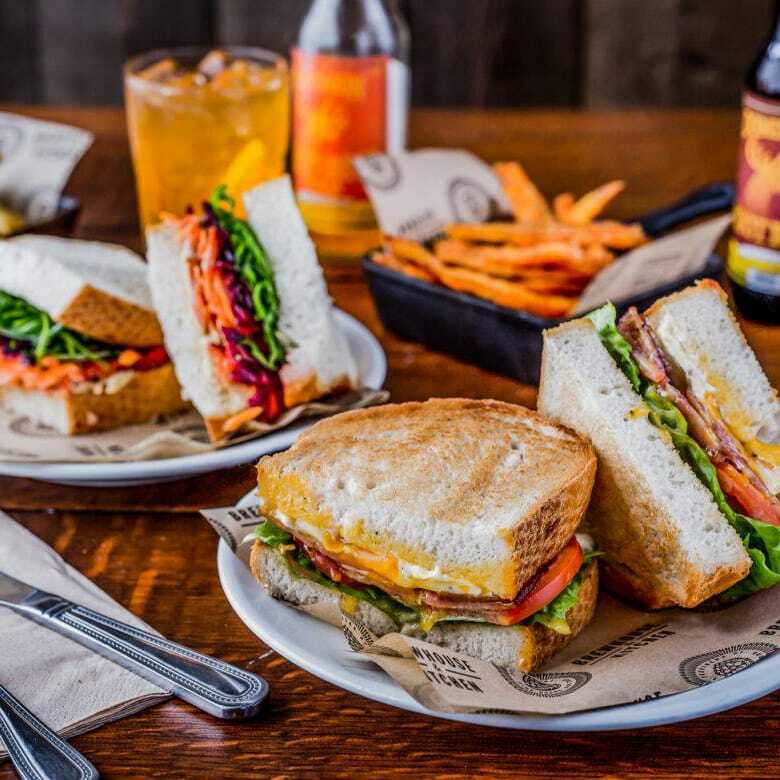 If you see their club sandwich pop up on the menu, don’t hesitate to order up and sink your teeth in. Absolutely one of the best sandwiches in Portsmouth, in a venue which offers charming views across the harbour. The go-to place in Portsmouth for gourmet grilled cheese sandwiches, with a menu graced by such mouthwatering miracles as ‘The Full Melt’ — pork patty, smoked bacon, egg, bean, and cheese — and ‘The Melted Benedict’ — smoked honey-roasted ham, egg, and hollandaise. Pop in or order via the Just Eat app. Southsea’s oldest independent sandwich shop has more or less earned ‘legendary’ status, and to this very day, they continue their decades-old track record of serving up some of the island’s best freshly-made sandwiches, baguettes, and paninis. The Osborne Road eatery is renowned for their garlic chicken. 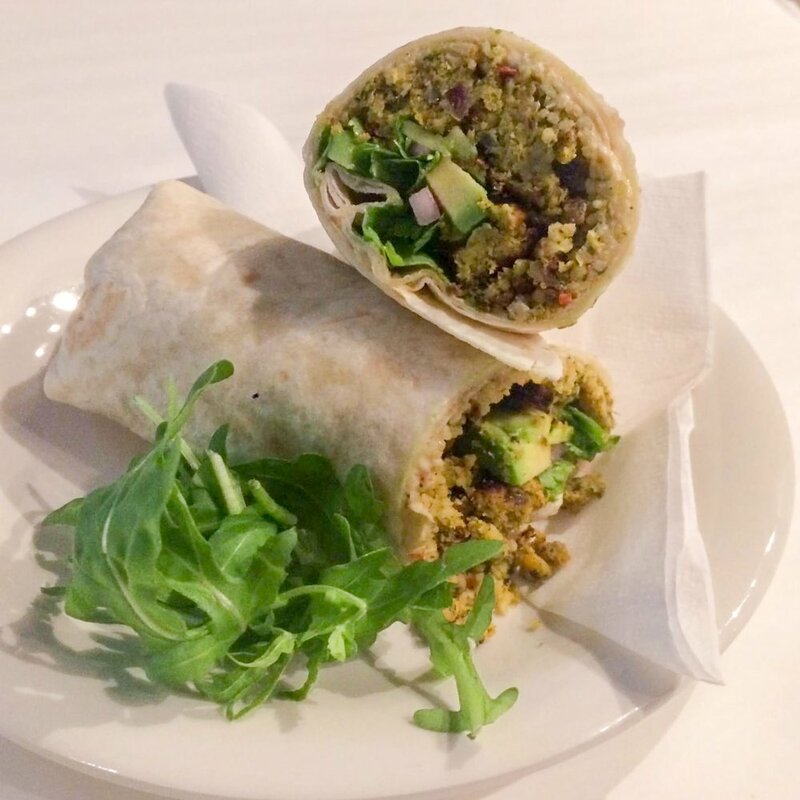 Hitting that traditional British café sweet spot, Roberto’s in North End have a bursting-at-the-seams menu chalked up on their walls boasting of breakfast rolls, cheesy toasties, flavoursome wraps, and literal bucketloads of fresh ingredients to fill your sandwich and make it just the way you want it. Thank you! We’ll consider adding your suggestion ASAP.